You’ll notice that this recipe/blog post uses fewer ingredients, has a slightly better photograph (although, we still have lots of work to do in the photography department), and we have a lot more to say about pears/everything these days. See the post from one year ago here. 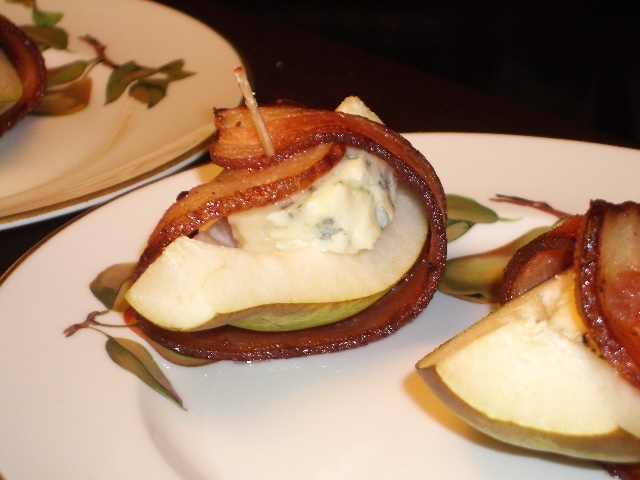 I think we both prefer blue cheese over goat cheese with pears and bacon… so we’d urge you to make this recipe instead of the old one… but if you’re feeling super crazy/bored, make both and tell us which is your favorite! yummmmmmmmm. I would sacrifice my cholesterol for this! !